Bringing much-needed warmth to London’s streets. 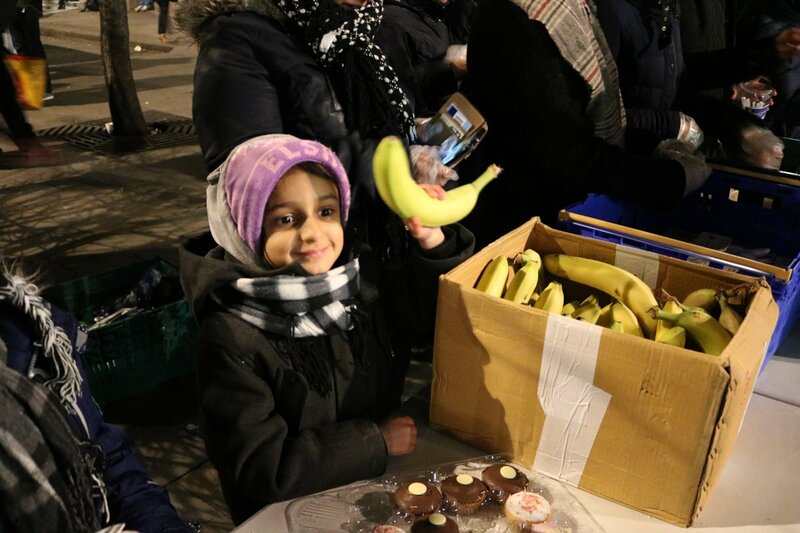 Every Saturday, while Londoners get ready for weekend revelry, a group of passionate volunteers begins unpacking tables, flasks, and crates of food onto one of the city’s busiest streets. Who is Hussain? 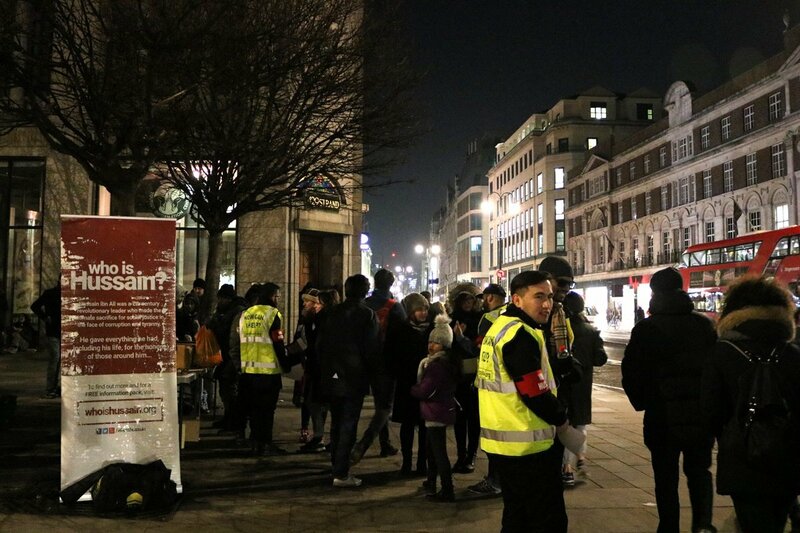 — a voluntary organisation committed to tackling injustice on a local and global scale — sets up for its weekly food drive, offering a hot meal, conversation and a dose of hope to London’s homeless population. 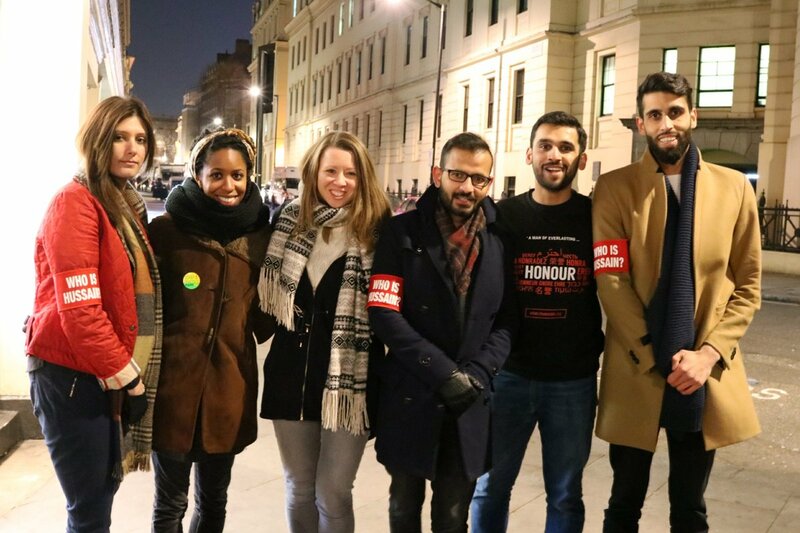 On an icy day in January, Global Citizen headed down to Charing Cross, London, to find out how the charity is making a difference on the city’s streets. The project takes its name from the 7th century revolutionary figure, Hussain ibn Ali. The grandson of the Prophet Muhammad, Hussain is celebrated as a voice who spoke truth to tyranny and stood up for the oppressed. 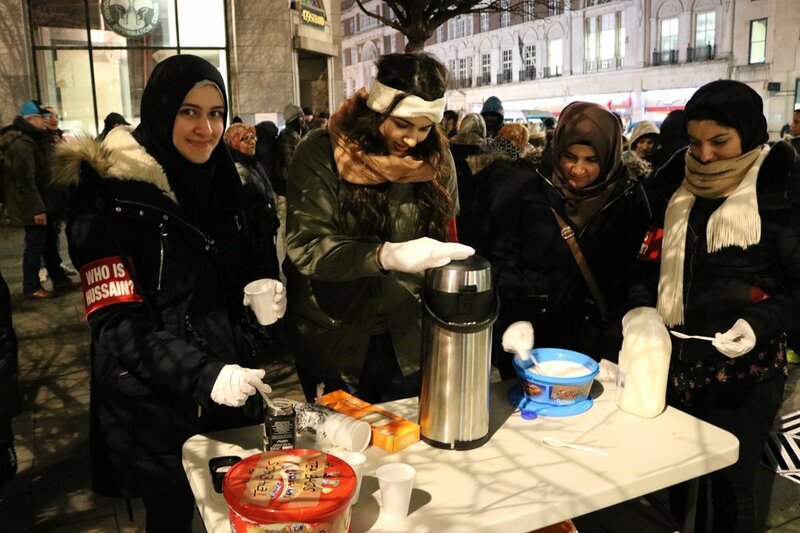 While its origins lie in Islamic history, Who is Hussain is a non-religious organisation that welcomes volunteers from all backgrounds, committed to helping anyone in need, no matter their colour or creed. Two volunteers practise their smiles as the guests arrive. Who is Hussain serves about 100 hot meals every weekend, but the volunteers emphasise the project is about much more than food. Seeking to combat the loneliness and neglect that comes with homelessness, handing out food offers a gateway to conversation and an opportunity to build meaningful relationships. Aiming to offer long term solutions, they run additional activities including CV workshops to help guests gain employment. 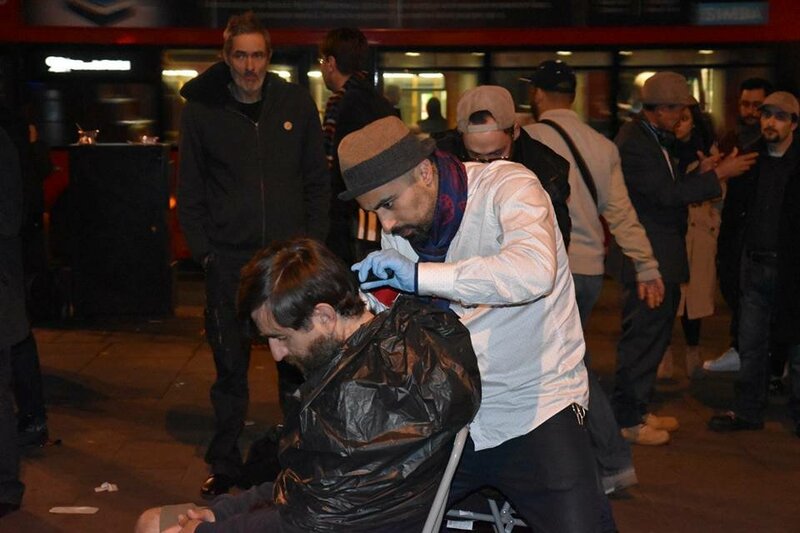 Their pop-up barbershop in October was a particular highlight, providing the simple remedy of a fresh haircut to leave guests feeling confident and empowered. 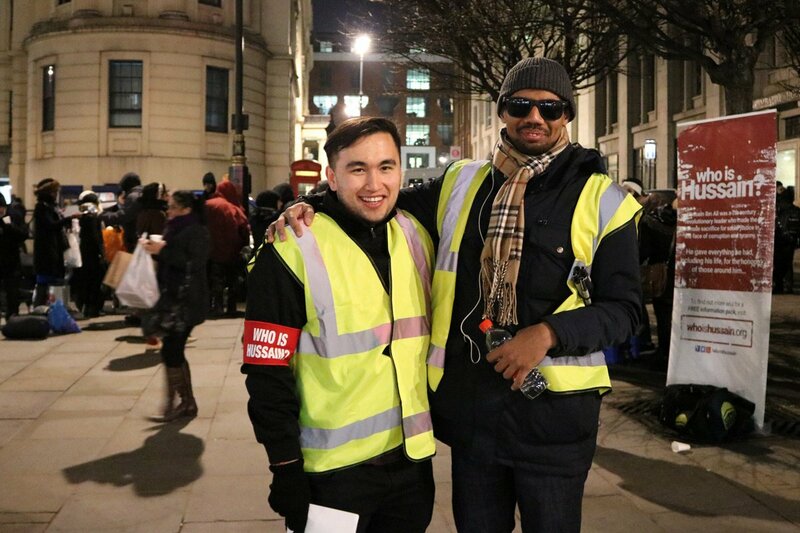 Dedicated to breaking down the barriers between the guests and the volunteers, in 2015, the team took their commitment to another level — they decided to spend three days sleeping rough. “We thought, ‘We need to take a step further. We need to feel what it is like to be homeless,’” said Shah. The decision to spend 72 hours on the street was also directly inspired by the legacy of Hussain. 25-year-old Zeenat, who runs the food table, explained the challenges of rough sleeping as a woman. 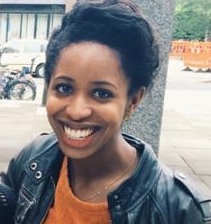 Despite spending a few nights on the street, she admits their privilege was still visible. The extent of the role reversal surprised the volunteers. Dave helped them navigate life on the streets, taking them to different food drives for each meal to make sure they were fed, and protecting them from the risks of rough sleeping. “He looked after us. One of the beautiful stories was, he went back of the queue so that we got fed first,” said Shah. At the food drive in January, Dave was charmingly blunt about the volunteers’ naivety. A former soldier who served in Iraq during the Gulf War and Ireland during The Troubles, Dave had been homeless since 2012. He regularly visits the food drive, and believes passionately in the work they are doing. “It’s not about religion, it’s about helping people,” he said. "We have to appreciate what we have," says 6-year-old Mariam when asked why she enjoys volunteering with her family. Dave’s story is an example that the cycle of homelessness can be broken. He's had some good news lately. Now in permanent accommodation, he is currently completing a plumbing and gas course — with a job lined up at the end. *Dave preferred not to be photographed to protect his privacy. To find out more about Who is Hussain, visit whoishussain.org and follow their Facebook page here.